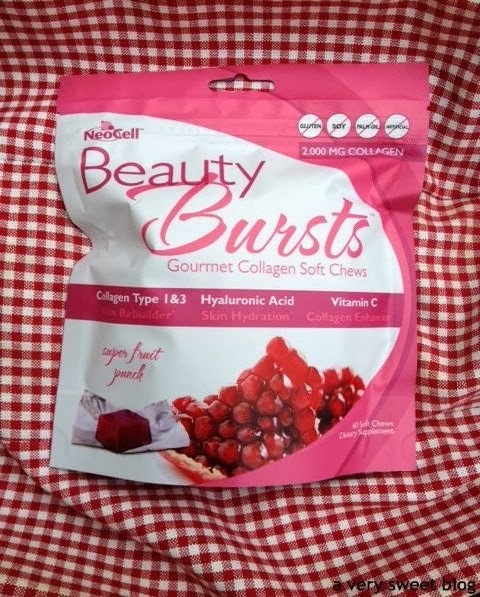 This is a product review for NeoCell Beauty Bursts. It was designed & written by A Very Sweet Blog. All opinions are 100% my own. I was given a bag of NeoCell Fruit Punch Beauty Bursts for review. Collagen! Get use to seeing that word.You're going to start hearing more and more about collagen infused products in the future. 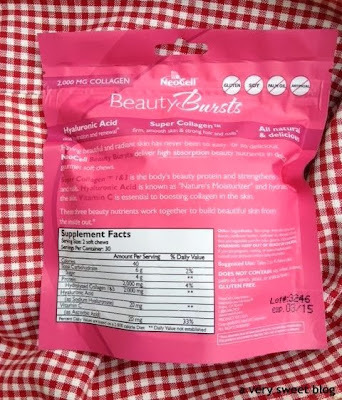 I'm all for anything that plumps you up in the right places ;) NeoCell sent me a bag of their Beauty Bursts Gourmet Collagen Soft Chews to try. They come in two flavors:chocolate mint and fruit punch. I asked for fruit punch and they were yummy. 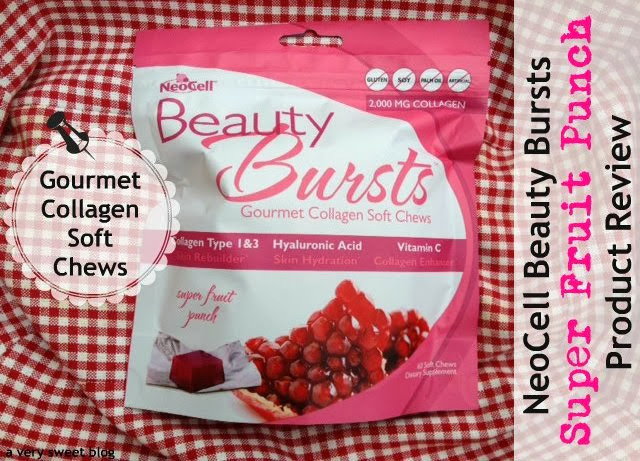 NeoCell's Beauty Bursts Gourmet Collagen Soft Chews are SWEET! These collagen chews tasted so good, I almost went over the 2-4 that you're allotted a day. 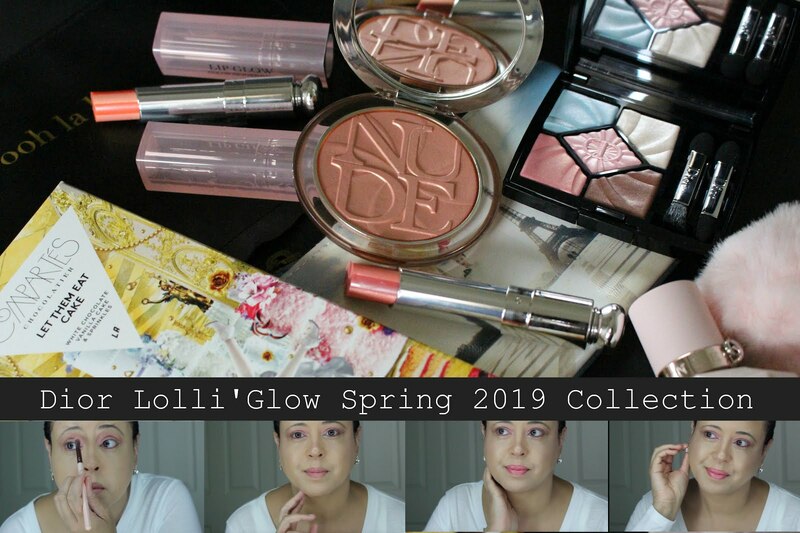 HaHaHa They boast Collagen Type 1 & 3 for firm smooth skin and strong hair & nails, Hyaluronic Acid for skin hydration & renewal, Vitamin C Collagen enhancer, all natural formula bursting with delicious flavor. My thoughts? I love that they are individually wrapped and in a re-sealable bag. It definitely keeps them fresh. The fruit punch flavor was delicious! It didn't have an artificial taste. The chews were chewy and easily digestible. My nails grew really, really fast while taking these. I had to cut them several times. HaHaHa My hair grew about a 1/4 of an inch and since taking them I've noticed my hair to be softer. I didn't see any changes in fine lines or plumpness of my skin. I had no adverse reactions while taking these supplements. Those were my results! These are an excellent alternative to taking pills. If you want longer nails and softer hair, grab a bag. Plus they're Gluten Free, Soy Free, Contain No Palm Oil and No Artificial Flavors. Nomi nomi nomm.Those look so yummy in my opinion.Hehehe! Mmmm, fruit punch sounds so good! Lovely review Kim....they look yummy too!! These look really yummy! Happy Wednesday dear Kim! And yay to being gluten-free. ooh delicious and they help grow nails and hair - it sounds great! I had no idea they made collagen in this form! That is really neat that it worked on your hair/nails! Oh God! I need to chew these collagen sweets. Send me some now kim! You really get the best stuffs around you.I have never seen these in my grocery Shop or Chemist. Seriously,Not sure of where to shop this but i need this in my life,especially for my short nails which i tend to chew all the time. lol..
collagen chews? i had no idea a product like this existed! These sound great! I'll have to give them a try since I've been trying to grow my hair out from the last time I had it cut. 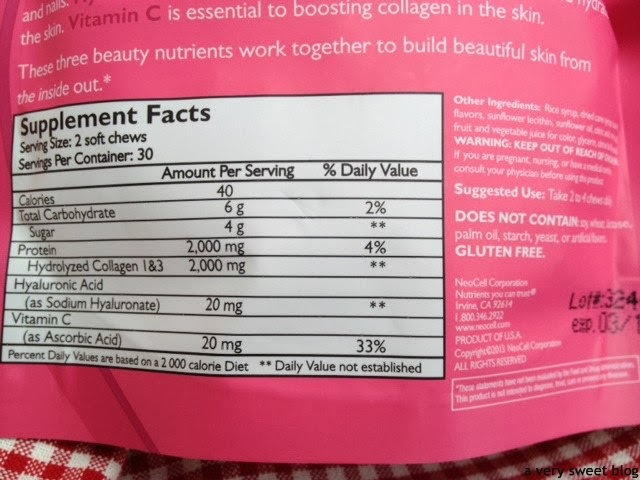 Collagen in chewy candies?? 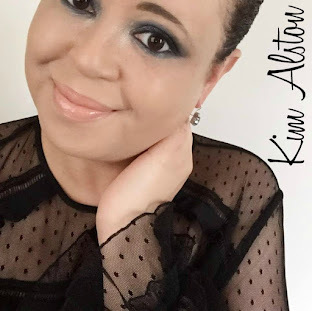 is the first time I hear about this, it seems a very interesting product Kim! These look so tasty! How awesome that they are chewy too! I will have to pick some up, my poor sad nails need it! Your reviews are always so thorough, Kim! I have only heard about collagen in beauty creams and I don't think these or similar products are available here in the UK yet. I would definitely like my hair to grow more quickly though. The bonus is they taste good too! These sound right up my alley Kim! I try to eat collagen foods like ox tail and tendon but this makes it so much easier haha. Thanks for another great review girl! I will have to give these puppies a try! I have very fine hair, so I hope it will help strengthen it! Collagen ? chewable.. ? just too much for me too process! I have to say, Kim, I've been hearing a lot about collagen-infused products lately but this is the first time I've come across a candy... what an easy (and delicious!) way to get vitamins you need. I'll definitely be looking for these at the grocery store! these look delicious & have an added bonus of making your skin, hair & nails even better? count me in!! are these sold only online? or can i pick them up a grocery store? would love to try! O I need to check these out. Well, it is an interesting idea. Wish it was a little lower in calories though (160 in 4 of them). Those look yummy. Had no idea they had chewable collagen! LOL Great review Kim! Never heard about ...now I am curious! im so curious to try where can I find them! Oh, I can not take the ascorbic acid version of Vitamin C that is a shame because these look good and a fun way to get your dose of beauty vitamins. I have never heard or seen these product before. It is amazing what products come out in the market. I would like to try these. Your review is so informative. Thank you for sharing. Oooohhh fruit punch. I can't imagine what chewing chocolate mint is like. Hihi. And softer hair plus longer nails? Yummmm! I think it's a brilliant idea!! what an itneresting product, i don't think i've ever seen these before! I have heard of collagen in products to plump your lips etc but I never knew you could ingest them! Very interesting! KIM! What a perfect way to get back into the swing of blogging. This was interesting, had no clue their were edible products for collagen. And these look great! I hate food that is rich in collagen coz they often taste fatty and mushy and I just feel the urge to spit them out. 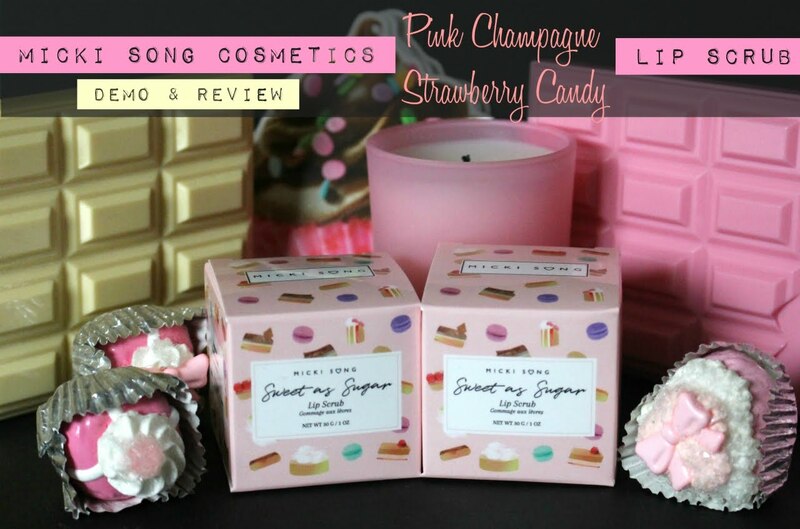 These sweets would do very well for me and you got me curioser and curioser about these products. I'm so fascinated when you said your nails and hair grew significantly when you ate these. 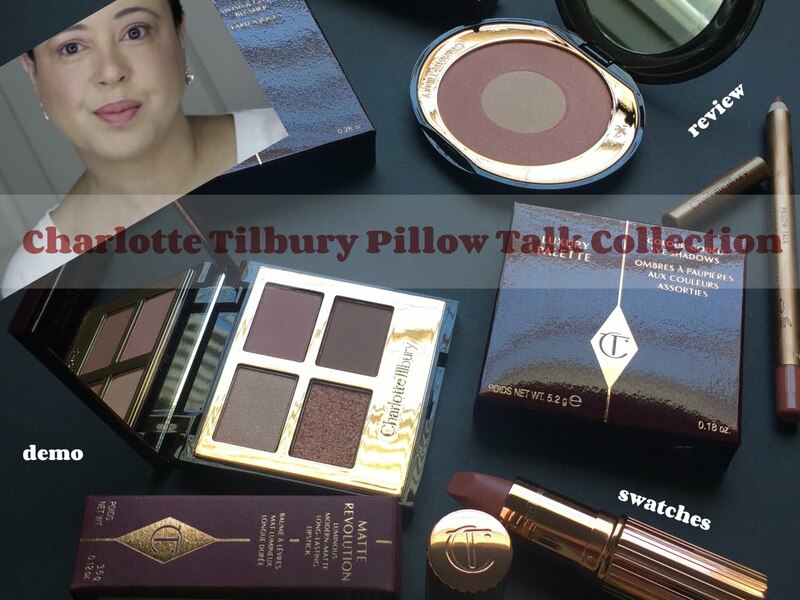 I always don't have these products that you mention on your blog. Wished I could live in New Orleans! oh yes...i heard of neo cell! it's supposed to be good! i could definitely use a few inches on my hair! Kate Spade: Pop, Fizz, Clink!